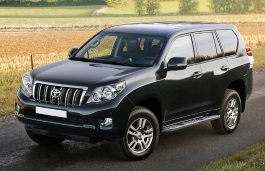 Correct Wheel Sizes, PCD, Offset, Rims and Tire specs for Toyota Land Cruiser series. I'm currently looking to buy a 79 Utility dual cab and want to know if a set of steel wheels that came off a 2001 HZJ105R will fit. They are 16 X 8 and have a 60 offset. I can't find any wheel info for the 79 Utility except that the stock rims are 16 X 5.5. Will the 60 offset be compatible on the new truck? I have tlc 100 and it has 17 inch rims. I gonna buy 285/70R17 sized tires. Is that size fit my car? Pls help. 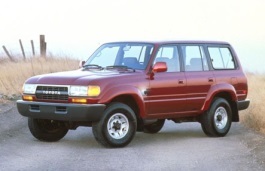 I have a 1998 4.7 land cruiser with stock 16" wheels can I use 2013 land cruiser 18" stock rims? 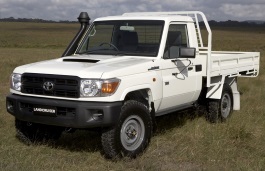 I have a LandI have a Landcruiser 4.2D pickup 1998 model (Series 75). I want to put wider rims (16 x 10) and tyres on them as the vehicle is only used for recreational purposes. What are the wheel sizes of my pickup? 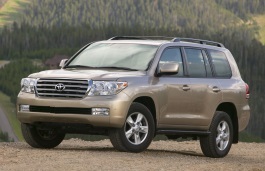 I want to fit Vertini Concave Series Wheels Size 20"x 10.5 on my 2012 Toyota Land Cruiser 200 Series. Will they fit? I notice that the bolt patterns for Vertini. Are given as 120/5H &amp; 130/5H and 114.3/5H whereas the Land Cruiser factory spec bolt pattern is given as 150/5. Kindly advise urgently. Hi,J.roymwaniki.If the Land cruiser factory spec bolt pattern is 150/5,Your new wheels must be also the same.And for aftermarket wheels,They must have this bolt pattern. 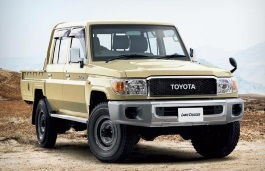 Toyota Land Cruiser custom modification. 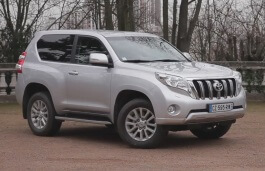 Rim is +6mm vs Toyota Land Cruiser offset +32mm, will this matter? Hi,Cromwellenriquez.Yes,If the offset is too lower,It will derease the brake room.the brake may be crash the wheel. 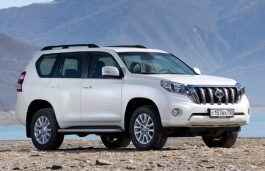 Hi can I fit Toyota Land Cruiser 100 serie 16" rims on a 200? Hi I have a Hilux 06 RWD 5 stud. Will 100 series rims fit and be safe for my rig. 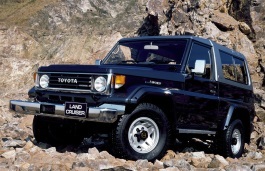 We are looking for 8.00 or 8.50 x 18 steel wheels for the Toyota Land Cruiser model LC200 latest version. Will a 17x8 6 lug pattern, 4.5" backspacing fit on my 1997 landcruiser? 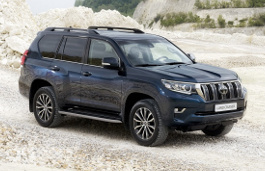 Will a 17 inch rim fit on my 2014 200 series Land Cruiser Sarah as I am not sure if the smaller rims will hit the brake callipers. Can you please advise urgently. Regards. Hi,Patrick Mcgee,It depend on what the offset of the 17 inch rims.If the offset is too small,It may hit the brake callipers,So,what your offset data? 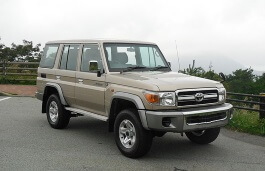 I have a 2003 Land Cruiser 18 " rims on it and looking to change to 20".is that possible. Is Toyota tundra whels will fit? 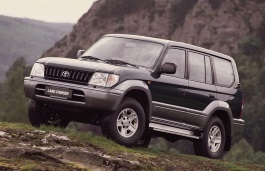 I own a Land Cruiser 105. These were 100 with the solid axle in the front. This axle came from the model 80 so it is not as wide as the IFS of the model 100. So, wheels for the 105 have a different offset to the 100s. Can you help me get wheels? I want 18x9 in 5x150 - thank you. I have a 2009 LC 200 vx with 18"x8" wheels can I get a 33" tire for it if so what brand? Hi,Greg,Can you show me your 33'' tire size? I've have an '07 TLC 100 with 18" rims. I've had a hard time finding a consistent answer to my questions about different tire sizes. 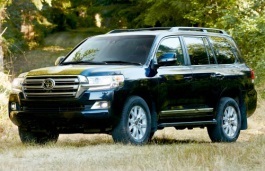 Can I put LT275/70r18 on my Land Cruiser? LT285/70r18? Thanks so much. Ok thanks so much. What diameter do I need to stay under? 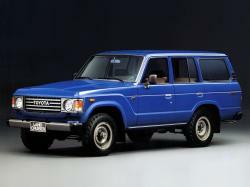 I have a 1976 Toyota FJ40 Landcruiser and would like to take wheels from a 1984 Toyo Pickup 4x4 on there - will it fit? Hi, Amanda Ellis,No,275/70/16 can't fit for your car.The new tire diameter is too large. My car is LC 200 4l engine ( 2012 ) . Is it recommended and safe to use 275/55/R20". It fit and looks good. Hi,Raul Villaroman,Yes,they share the same bolt pattern(6*139.7) and similar offset. Hi,John Stanford,No,According to the tire calculator,the tire is not compatible for your car. Hi,Michael ratcliffe,5*150 18*9 offset 25mm can fit for your car,And for the front wheels size,Do you also know the offset? I have a 2006 Landcruiser Troopy 78 with split rims. Five bolt pattern. 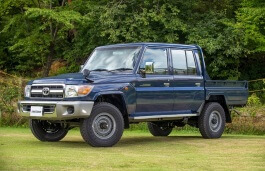 Would Landcruiser 200 16x6.5 rims fit? 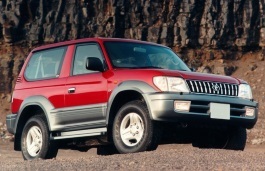 Will the rims from a 95 forerunner fit a 65 land cruiser? Hi,Dave,It can fit for,But the offset for Land cruiser is littler bigger than 4runners.So,You may need spacers.You can try it firstly. 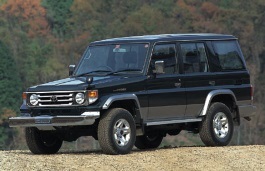 I have a 1976 Toyota fj40 land cruiser and I want to put new wheels and tires on it. 1. Is 4.25 bore hub correct? 2. Is a backspace of 3.5 correct? 3. Will 16 x8 with 33x10.5x16 fit under the vehicle? Hi,Steve,1. 4.25'' eq to 107.95mm which is smaller than the stock bore hub(110.5mm). 2.Can you show the offset of the rims?Or you can compare it by yourself(stock offset is 25-30mm).3.The stock tire size for the car is 215/80/16,So 33*10.5*16 is not compatible for your car. 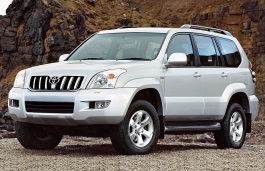 Hello, I have Toyota land cruiser GX 2006, what's the correct wheel spec's? 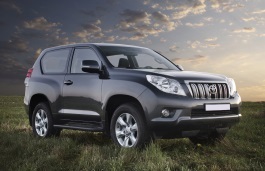 New 16" black steel rims to fit Land Cruisers with 5 holes, 5x150 pcd. Does these rims fit my 78 Troopie and can i use 285/75/R16 tires? Hi there, I have a set of 6 stud, 15 x 8 negative 22 mags that come off my 60 series & I was told they will bolt straight on to a 40 series Landcruiser, is this true to my knowledge or have I got it wrong? Thank you. I have a 1993 land cruiser and would like to put on 20x12 rims what offset do i need? I have a 1988 LJ70 2.4tdi Can i fit 15x8J ET -16 without any problems ....Thankyou !! Hi, Neil Basson,What your current tire size?I can help you confirm it. Hi,Shelly Bell,Can you show your current tire size?I can help you confirm a new one. Hi, Shelly Bell,Yes,you can use other size tires,But you need to make sure new tires should be compatible with old ones. 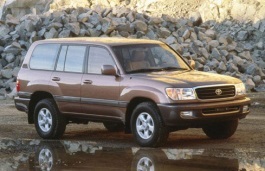 2000 100 series landcruiserI’m looking at getting 17” rims with a +10 offset. Can I run a 285/70/17? Hi,Mitch,What the current tire size?I can help you confirm it.